The VC Cliche of this week is Traction. Inspiration for this week’s cliche comes from Jarrett Collins of NeoCarta Ventures who posted the following comment on my blog post about scale yesterday. Traction is certainly one of the most overused phrases in the venture capital and startup business. But entrepreneurs aren’t the only ones who are guilty of overusing it. I remember back in the Flatiron days when we’d have our monday meetings, literally every person around the table would utter the word traction when it came time for them to pitch their favorite deal to the rest of the team. If you didn’t say traction at least a couple times, there was no chance the deal would get the green light. But as Jarrett asks, what is traction? Is traction revenues? Not always. Is traction customers? Not always. Is traction lots of press mentions? Usually. Is traction required to attract a venture investment? Almost always. I believe that traction means that a company is making clear and recognized progress toward whatever business milestones it has outlined for itself. If these milestones are appropriate for the development of a successful and profitable business, then traction in meeting them is a good proxy for success. True early stage investing requires different metrics than later stage investing or public market investing. Revenues, customers, and cash flow aren’t normally in the picture when an early stage VC makes an investment decision. So finding the appropriate milestones and determining whether the company is making progress toward achieving them is the best you can often do. If that’s called traction, so be it. But I’d still like to hear the word traction used less in our business. 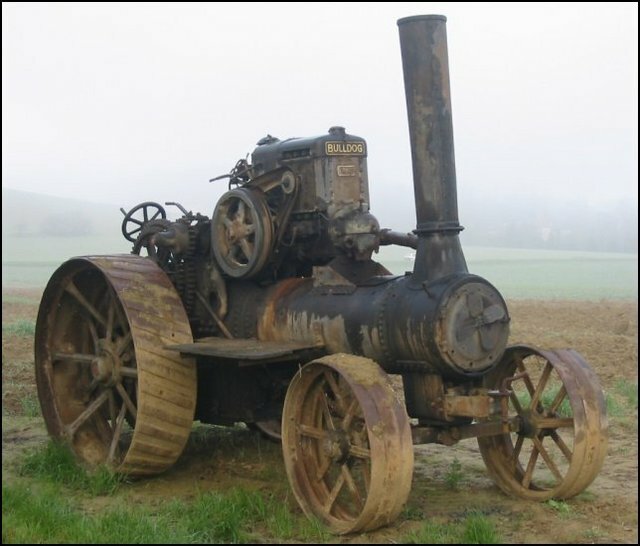 The Picture: This is a picture of a traction engine that I found using Google image search and comes from Tony’s Lanz Bulldog Pictures Page. 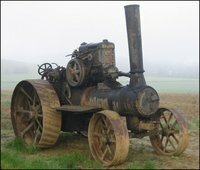 That’s a cool looking tractor and I bet you get some serious traction with it.